It’s often said that opposites attract, but that doesn’t only apply to people. Most interior decorators agree that mixing opposites can create some unique and exciting effects. Here are just a few examples of ways to mix opposites when doing interior decorating. The great thing about the colors black and white is that they both go with everything, including each other. Even though they’re opposites, mixing blacks and whites in a color scheme creates interesting contrast and can look great. You can blend these two colors with black and white photography or artwork, fabrics, or furniture. Feel free to incorporate different shapes into your interior design. You might choose to have an orb chandelier and a round dining table to soften the hard, straight lines of the walls in a dining room. Similarly, in the kitchen, you can make use of jars, canisters, and other round pieces to contrast with the straight lines of the cabinetry. Some decorators will tell you to stick with one or the other but gold and silver together can be quite a pairing and can really add some glamour to any room in the home. Just remember that a little goes a long way when it comes to gold and silver. You can create some nice layered effects in a room by including furnishings with a softer or smoother texture with items that have a more rough texture. For instance, you might pair a sisal rug with a softer shag style one. A blend of solid and patterned textiles such as throws or pillows creates visual interest and is a great way to mix opposites into your interior decorating. Most people assume that everything in a space needs to match one particular style but the opposite is actually true. 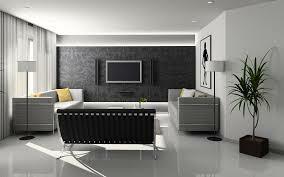 A blend of traditional and modern styles within a space, for instance, actually looks really good. So shop around and feel free to mix styles and time periods with your furnishings. Not everything has to come straight from a department store or home fashion retailer. You can find some great pieces at second-hand stores and in yard sales. Blending old, repurposed items with brand new ones makes a space look more real and lived in.